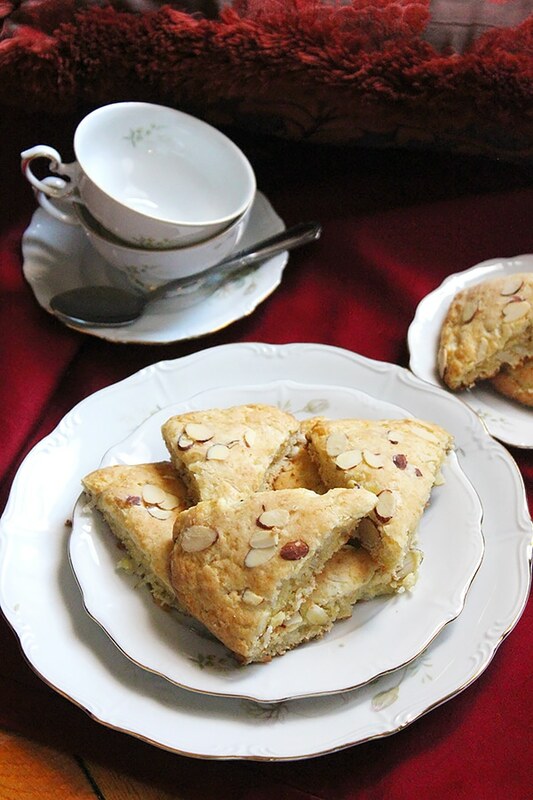 Buttermilk Coconut Almond Scones, these scones have a crisp crust from the outside, but are moist and flavorful from the inside. A good breakfast will make you happy, well, at least this is how I feel. 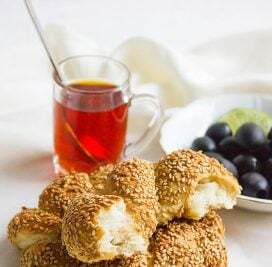 I make sure that my breakfast is delicious, because if it’s not then I will eat something else later, and most of the time that something else won’t be healthy, if you know what I mean! British, who have a great range of amazing breakfast ideas, have always impressed me. Crumpets, English Muffins, Scones, and so much more. Maybe their love for tea made them create many goodies that can go well with it. I don’t know, but I’m glad that they created such lovely menu for breakfast. I had different versions of scones, I can’t say I have a favorite since I loved them all. Blueberry scones, evaporated milk scones, Lemon scones, plain scones, I just can’t have enough of them. 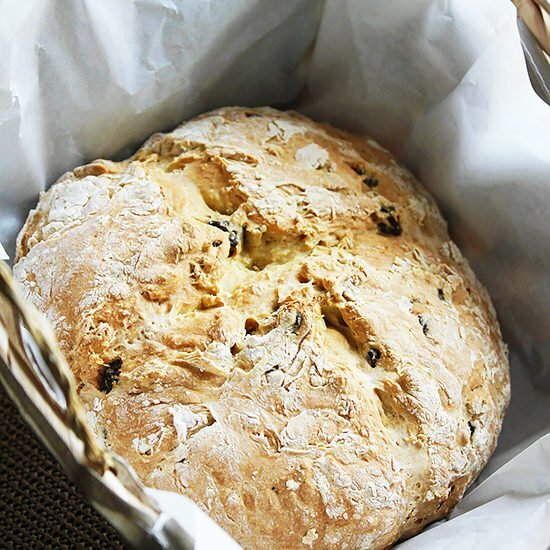 So today, I share a new version, which is of course in the list of favorite scones. I have used sweetened coconut in this recipe, because I love the chewy texture, but you can toast the shredded coconuts and use it. 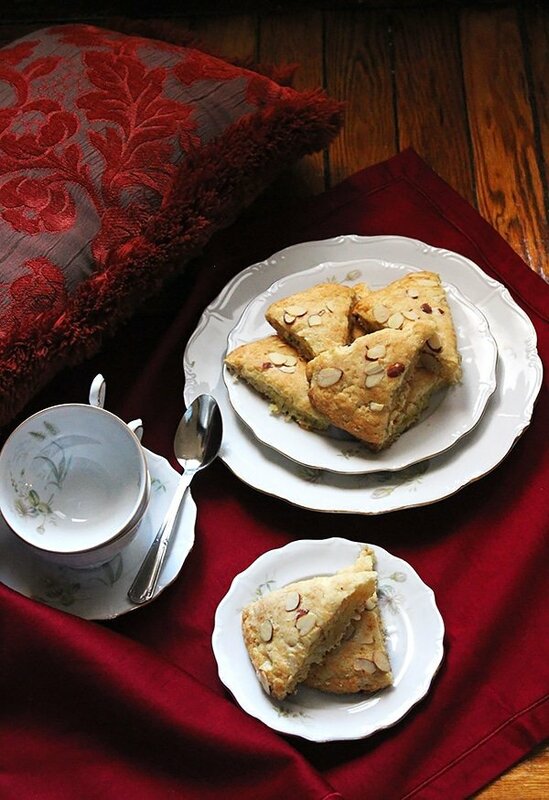 Buttermilk coconut almond scones, have a crisp crust but moist from the inside. Adding coconut to these scones have enhanced the texture and flavor. Line your baking sheet with parchment paper and keep aside. Add vinegar to milk and keep aside for 5 minutes. In a bowl, add the flour, baking soda, baking powder, sugar, and salt. Whisk to combine. Add the butter to flour and rub together using the tip of your fingers, until you get uneven crumbly mixture. Add the milk and stir using a fork, add the coconut and stir to combine. Pour the dough (which should be pretty sticky at this time.) to the baking sheet. Sprinkle the almonds evenly on top of the dough. Dust your hand with flour and gently pat down the dough to create a circle that is almost an inch high. It will be a little difficult but dust a knife and cut the circle into eight triangles. 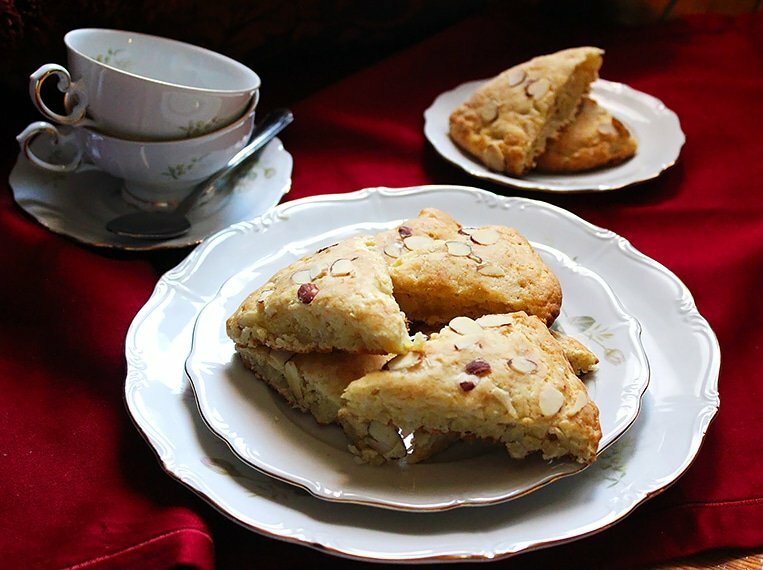 Bake the scones for 15 – 16 minutes, or until golden brown. Let cool in the baking sheet for 5 minutes, and then transfer to a cooling rack. I love the combo of flavour…sweetened coconut flakes and almonds..totally right up my alley. 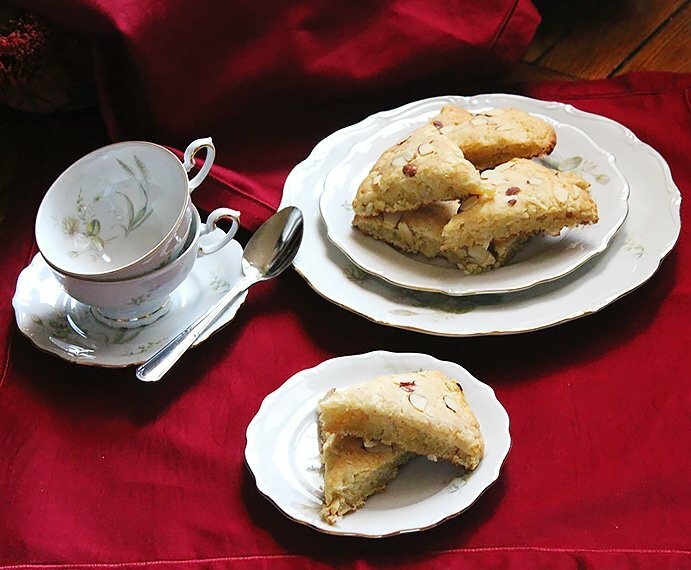 I am a big fan of scones and this recipe is a must try for me. I think that adding the buttermilk to the recipe must give it a great texture. Oh yes, buttermilk was the star, it gave these scones great texture and taste. This looks fantastic! The husband keeps begging me to make scones again- I’ll definitely try this recipe. I love that you make your own buttermilk instead of buying premade- it’s hard for me to find at the store!